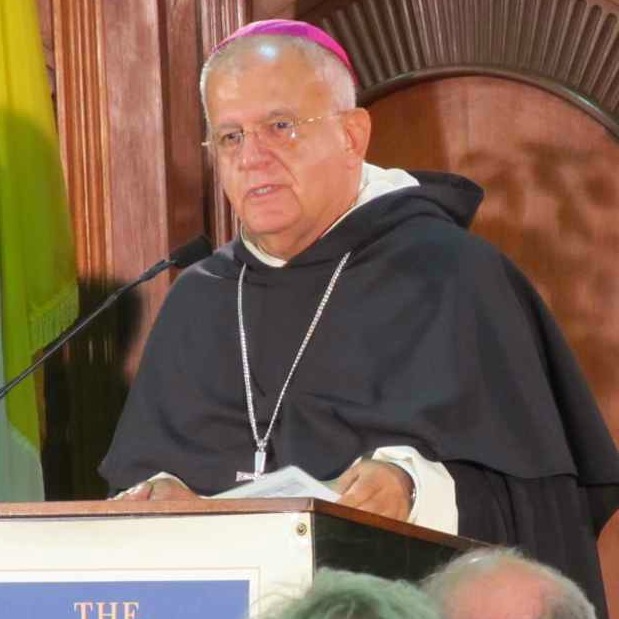 Last month’s Orange County Prayer Breakfast in California featured Abp Augustine DiNoia OP as the keynote speaker. His talk was entitled “Becoming Like Christ: How the Liturgy Shapes Our Lives.” However, don’t allow the title to mislead you into thinking that this is a discussion of the rubrics, format or other details of the Eucharistic liturgy. In this tremendous presentation, he teaches us — in truly Dominican style — the meaning of life and how the liturgy in general is our guide to our fulfillment: to become like Jesus. What a brilliant teacher Abp DiNoia is!! He adeptly employs analogies to make his points more understandable. He appropriately cites examples from the saints and references to popes. As a true Dominican, he doesn’t fail to mention the rosary. At times, he speaks with a controlled but intense passion which drew me in and engaged my heart. The charismatic in me appreciated his enthusiastic reference to the indwelling of the Holy Spirit (around the 24:00 to 25:00 minute mark). Underlying all this is his effective use of Sacred Scripture. Very inspiring! You’ll surely find much in this talk to reflect on in your prayer time and beyond. You are currently browsing the archives for the Dominicans category.